Brooklyn & Boyle is pleased to announce the upcoming publication of our very first Annual César E. Chávez Memorial Tribute issue. Our March 2014 issue will commemorate a true American hero who worked tirelessly his entire life to help improve the lives of the working people who harvested and continue to harvest the crops that wind up on our tables. We invite our readers to look for the magazine when it goes to press in mid-March. It will deliver histories, images, poems and stories that reflect a leader we must always remember and emulate. It will, as well, offer an update on the work being done by the UFW Foundation today as well as testimonies by those who knew him. We are proud to dedicate the pages of LA's Latino arts, culture and community monthly to a great man who inspired and moved us all with his humble dignity, a dignity he fought to preserve for the least of us, for the forgotten, for the displaced, the dispossessed and the voiceless. Like Chávez, we must always remember to stand up for those who are rarely represented, but upon whose backs this nation has been built. We also invite our advertisers, elected officials, community leaders, community-based organizations and businesses to participate with a message honoring March 31st, his birthday, as an officially designated holiday, worthy of our recognition, commemoration and celebration. Your message may take the form of a display ad. All materials in support of your advertising message must be received by Monday, March 10th at 5pm. 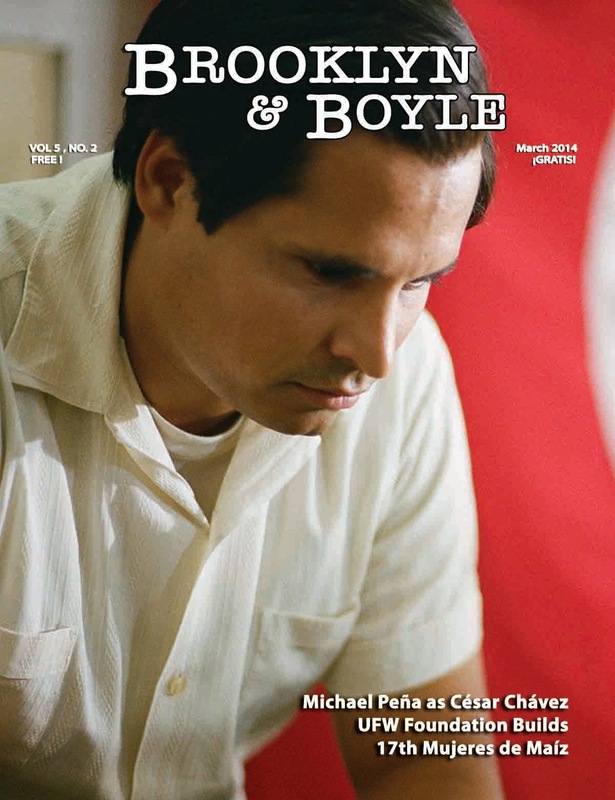 We look forward to working with you in an effort to make the Annual Brooklyn & Boyle César Chávez Memorial Tribute issue a remarkable piece of living history and a document worthy of all our best creative energies. Contact us below for more information on how to participate.